Looking forward to a Boo-tiful Halloween Night? Halloween is a time to dress as your wish, eat your favorite candy, watch a scary movie or throw a Halloween Party with family or friends. While the day is filled with Spooktacular memories, our garbage cans are filled with the scary leftovers. 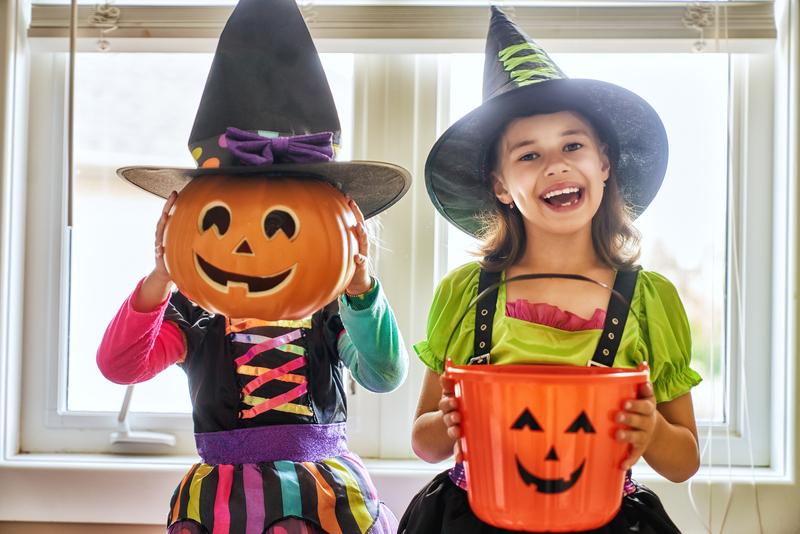 Check out the following tips to have a waste free Halloween! Have your treats the green way! For your Halloween party, ditch single use candy wrappers and enjoy your favorite sweets guilt free. Homemade delicacies are a great way to kick off your new and improved Halloween traditions by preparing homemade treats (caramel apples, chocolates, etc.) wrapped in recyclable, reusable, or compostable packaging. If you buy wrapped candy for trick or treaters, buy in bulk to decrease on packaging waste. Ghosts and Goblins, Witches Galore! Some of the best finds for costumes may come from your family’s closets or trunks from Halloween’s past. Other places to search for parts and pieces for costume creation could be garage sales, second hand stores, tailors, and seamstresses. How about a costume share or swap with friends! Remember to donate your used costume or save it for years to come. Dig out those reusable pumpkin decorations with the handles on them. They make the perfect bucket for your kids to capture Halloween delights. If you don’t have one of these handy, grab your reusable grocery bag or a pillow case for collecting candy. You can also make reusable Halloween treat bags from old t-shirts or scrap material. For more information on waste reduction and recycling. When it comes to Halloween decorations, dust off your décor from the previous year(s). Halloween decorations are timeless. Fall is a great time to get crafty with nature or items around the house. 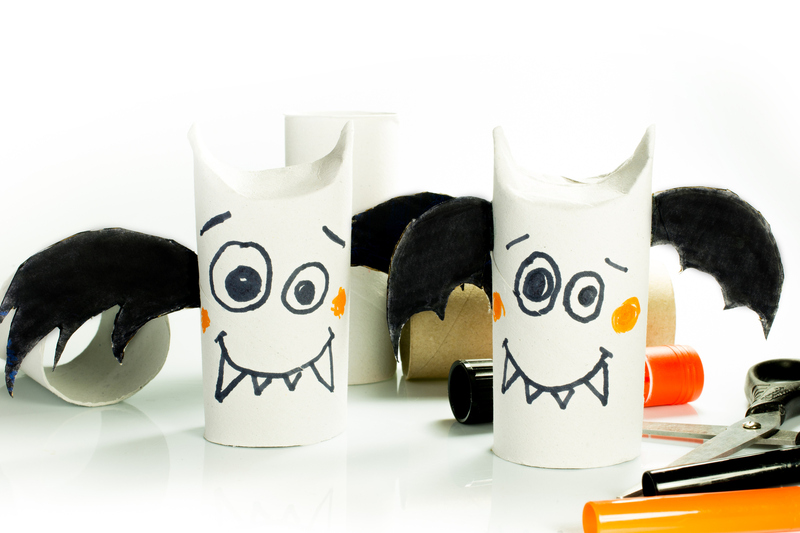 Make bats out of toilet paper rolls or gather leaves and pine cones for your own homemade Fall decorations. Collect a couple of pine boughs, leaves, pine cones, or nuts to make a decoration for your front door. And, last but not least, don’t forget to add any wilted pumpkins, corn stalks, gourds, and more to your compost pile. For more information on backyard composting. Whether it be costumes, decorations, candy, or greeting cards, we can surely reduce our Halloween spending and waste. Have a safe and waste-free Halloween! Is there a topic you'd like to learn more about? Or a public event or workshop related to recycling (organics, textiles, traditional recyclables, etc.) you'd like the greater community to know more about? E-mail us at organicrecycling@dec.ny.gov.